For impact less cardiovascular training elliptical trainers has always been an obvious choice. It is the only fitness equipment that could easily simulate a stair climbing motion. Keeping your joints unharmed while working out is always a top priority and elliptical trainers do keep your joints safe. In the health and fitness market, the most recent buzzword is about a new type of elliptical – Center drive elliptical trainer. This is, of course, the third type of elliptical machine in the category. The main difference it has over the front and rear elliptical trainers is that its flywheel mechanism is situated at the center. But does that really make any difference? Are they more efficient? Let’s find out. Your health matters so picking random fitness equipment is not a wise decision. We will discuss the detailed specifications of our five favourite center drive elliptical. We will also look through the general advantages that center drive elliptical trainer have over the other type of elliptical. One of the main advantages of center drive elliptical over many other types of fitness equipment is its compactness. It has the ability to create a work out the environment in the comfort of your small home. But that doesn’t mean that you should sacrifice on your fitness goals to get equipment home? Exercise Elliptical is popular for its ability to give full natural strides. The pedaling on the elliptical trainers is not at all choppy making the strides feel more natural. 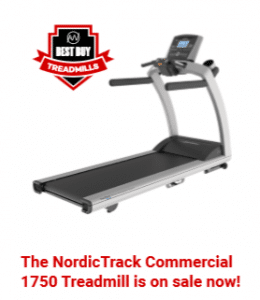 When the length of the strides is really long then the elliptical can double their job both as an elliptical trainer and a joint-friendly fitness machine. Elliptical trainers are of course efficient than any other type of fitness equipment but each of them is having specific features and you should consider well by comparing and choosing between the best center drive elliptical trainers for you. A detailed analysis must be done on any fitness equipment based on your workout and fitness goals or else finding the optimum machine will become a difficult task. The main aspects to consider are stride length, resistance, and upper body training support. The Center Drive Elliptical machines that have these features are the best one for you and not just the expensive one. An efficient stride is what we really expect when we buy an elliptical trainer. We consider it to be the most important aspect while we review elliptical trainers. And in order for an elliptical equipment to be counted amongst the best center drive elliptical, it must at least have a stride length of 18”. If the stride length is less then it will decrease the efficiency of the elliptical trainers. Instead of providing a natural walking experience, you will experience choppy strides where one feels like he is walking over a non-uniform terrain. For most of the people with height 5’3” and shorter heights an 18-inch stride is advisable as it ensures a proper walking experience. And for taller people, the stride length of 19″, 20″ or longer will suit them better as it is a better biomechanical fit for them. Center drive elliptical and other elliptical trainers are now available with adjustable stride length. Like any other fitness equipment buying an elliptical trainer is a good investment and it can become a common workout machine for everyone in the family. Moreover, it also offers the flexibility of having different workout patterns where you can focus on different muscle groups and their development like hamstrings or calves. Elliptical trainers with adjustable strides can vary in stride length from 18” to 22”. There are different elliptical trainers with other ranges too. Resistance is an important criterion when selecting your suitable elliptical trainer as it can improve the effectiveness of your workout. But most of the manufacturers stay reluctant in publishing this information on their website. So the best possibility we have in finding the resistance of the center drive elliptical is by checking out the weight of the flywheel. Generally, the beginners and people who are interested in keeping their body fit tend to choose a flywheel with 20 pounds weight and set 20 resistance settings. Those who are planning for intense workouts must use elliptical trainers with flywheels that are weighing more than 25 pounds. Commercially popular and luxury elliptical trainers usually have flywheels that weigh more than 30 pounds. What you intend with your workout is an important question you must ask yourself before choosing any kind of fitness equipment. Are you aiming to use the elliptical trainer for your lower body or do you need a trainer that supports your upper body too? Elliptical trainers usually come with movable arm bars but they are also variant that only has stationary grips for steadying your body. For E.g. the brand Octane Fitness has followed a different approach in this manner. Their elliptical trainers are uniquely designed to give elliptical cross training with movable armbars. They also provide resistance bands, free weights and workout guides in order to make your workout with the elliptical trainers much more productive. There are many features that are peculiar to centre drive elliptical that make them a top choice when compared to other kinds of elliptical trainers. Primarily, centre drive elliptical has really compact frames which make it an easy fitness companion that is easy to handle without any hassle. The flywheel placement gives it an easy-to-balance design that is convenient. They also have healthy footpaths. The main reason why people choose centre drive elliptical orbits over other elliptical trainers is that of their space-saving design. Other elliptical trainers like rear drive and front drive elliptical have large rectangular footprints while center drive elliptical trainers have square footprints that make it a perfect fitness partner in a small apartment. The next greatest advantage of center drive elliptical machines over the other types of elliptical trainers is its comfortable body positioning. The downside that many customers feel with the front drive is its bad body positioning. In them, users have to lean forward into the handlebars in order for them to feel balanced which is not so comfortable for most of the users. Because of its special construction, centre drive elliptical trainer allows the users to be in a much more natural upright position when they are working out. It makes the whole workout session more comfortable and at the same time, it also helps in efficient calorie burn. The next most important reason why center drive trainers stand out is that of their ergonomic pedal spacing. They usually come with a narrow spacing between the pedals. The advantage is that it every stride that you take will feel more like a natural climbing rather than an artificial exercise. And because of this ergonomic design discomfort caused on the hips during the workout are reduced to a bare minimum unlike the other types of elliptical trainers. There are variants of rear drive and front drive trainers that are having narrow pedal spacing but it’s not a common feature among them. But center drive elliptical equipment always comes with narrow spacing. Even though center drive elliptical is a popular choice among fitness experts it does have many downsides. The major drawback of elliptical trainers with central drive is that they don’t usually come with an incline option which is a useful feature if you are planning on intense workouts. An elliptical with an incline forces you to work more, all of your muscle groups are well engaged when working out on an elliptical with a proper incline. But unfortunately, center drive elliptical does not have this ability. This is because of their unique designing which eliminates the usage of a ramp and ramps thus are used for changing the inclination angle of the elliptical trainers. So inclination can be considered as an optional feature on elliptical trainers. Even without the incline, an elliptical trainer can easily give a proper workout session for your whole body. These are the latest addition to the elliptical trainers and provide very effective workout session for the fitness enthusiast in the comfort of his home. The unique body design makes it a space saver in your already crowded home.